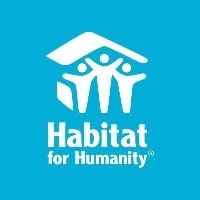 ATLANTA (May 8, 2018) – (RealEstateRama) — For the 11th year, Habitat for Humanity and Lowe’s will host the annual National Women Build Week from May 5-13 where thousands of women volunteers and Habitat homeowners will unite nationwide to build up their communities and gain skills in home construction. Three in 5 (62 percent) women say they cannot afford to purchase a home that meets their family’s needs in the neighborhood where they want to live. Lowe’s, a Fortune 50 home improvement company, has a 60-year legacy of supporting the communities it serves through programs that focus on K-12 public education and community improvement projects. In the past decade, Lowe’s and the Lowe’s Charitable and Educational Foundation together have contributed nearly $300 million to these efforts, and for more than two decades Lowe’s Heroes volunteers have donated their time to make our communities better places to live. For the latest news, visit Newsroom.Lowes.com or follow @LowesMediaon Twitter. The 2018 Lowe’s and Habitat for Humanity National Women Build Week Survey presents the findings of an online survey conducted by Toluna from April 5-8, 2018 among a random sample of 1,019 American women ages 18 and over. The margin of error for a sample of this size is about 3 percent at a 95 percent level of confidence.